Cleopatra Records has released the following statement: "With great sadness we wish to announce that John Harrison, founding bassist for legendary space rock band HAWKWIND, passed away in his sleep on May 26, 2012. John had been suffering from Huntington disease, having been diagnosed with it in 2005. At the time of his death, John was being cared for at Garden Crest clinic in Los Angeles. His caregivers there reported that he passed peacefully at approximately 8 p.m. John would have been 70 on May 28. "John's throbbing and inventive bass parts on the band's self-titled 1970 release laid the foundation for HAWKWIND's influential sound, both then and now. After his departure from the band, John also worked successfully as a producer and staff engineer at Village Recorders in Los Angeles." 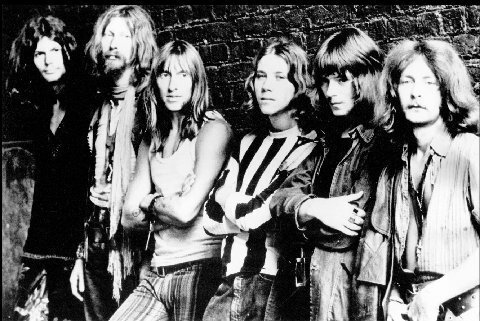 Former HAWKWIND guitarist Huw Lloyd-Langton said in a statement: "John was an integral part of HAWKWIND's formation and eventual success. His honest, solid character and playing held the whole thing together in that first year of the group's existence (in more ways than one)! All who worked with him and have followed in his footsteps, i.e. Lemmy :) and all Hawkfans, old and young, wherever you are, owe him big-time! May he rock in peace wherever he is now!"